Military Auto Transport | Get Free Car Shipping Quotes Now! Military auto transport companies offer car transportation services for members of the US Armed Forces. In most cases, the companies that offer these services also transport goods for the civilian population as well. Residential moving companies that help military personnel move their household goods and personal belongings often also help transport their automobiles. Many auto shipping companies offer military transportation discounts for active members of the military and for veterans. The discounts vary by each transporter. Some auto shippers deduct between $25 and $50 off the total shipping costs for men and women of the US Armed Forces. Others offer standing military transportation discounts ranging from five percent to 15 percent off the total cost. Active duty military personnel represent an important customer base for auto transportation companies. Members of the Armed Forces relocate on a frequent basis. Most of them rely on commercial auto shipping companies to transport their household goods and their automobiles. Military car shipping companies are usually in high demand in cities where major military bases are located. Companies that offer military auto shipping services are usually licensed for interstate operations and can transfer a car to any location within the country. Some even offer military car transport services to international destinations. Importantly, companies that specialize in military auto transport services often are willing to ship automobiles to locations where other car shipping companies will not ordinarily operate. Auto shipping companies that offer military car transport services usually haul automobiles in open carriers or in enclosed trucks. 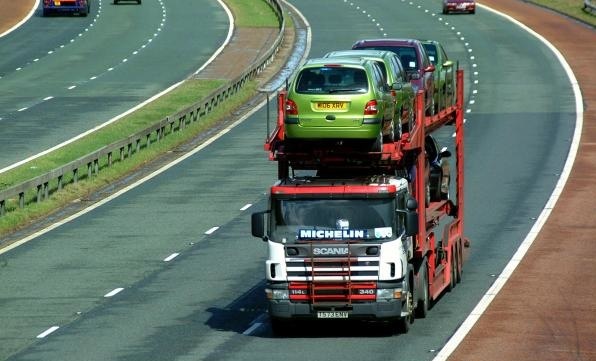 The cost to transport the cars depends on the distance over which it has to be shipped and the size of the vehicle. Typically, enclosed carriers can cost between 50 percent and 75 percent more than an open carrier. Many websites these days allow users to quickly obtain and compare price quotes from five or six companies that specialize in shipping vehicles for the military. In most cases, shipping companies offer door-to-door service as well as terminal-to-terminal shipping for military personnel. Transport companies that depend substantially on the military for their business sometimes maintain a shipping terminal facility near a military base. In these cases, military personnel can drop off their car at the terminal facility and pick it up from there at their destination. Such terminal-to-terminal shipping is usually less expensive than door-to-door military car shipping.